I've been meaning to celebrate Alabama's 14th National Championship with a new post, but time hasn't allowed it. With the 2012 season less than two weeks away, there was no better time than today. 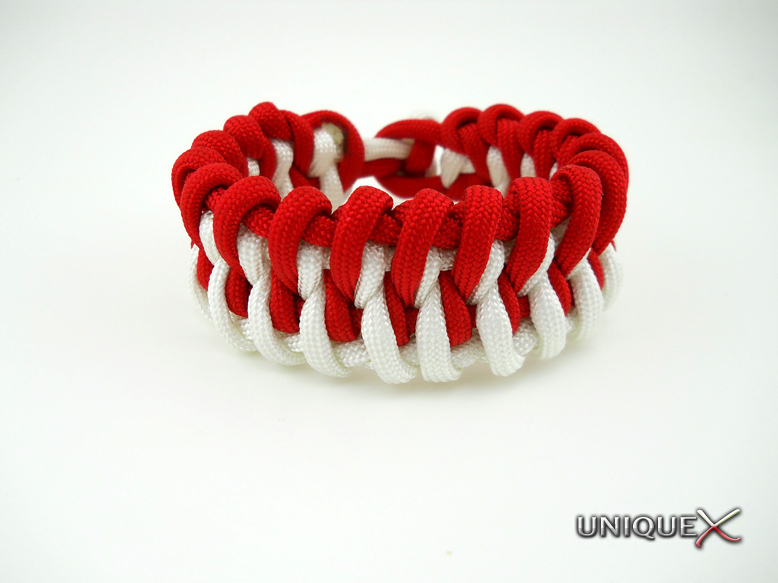 This is my first attempt at using 450 Type II Paracord. I have been meaning to get some 450 to test the differences with 550, and since Vermont's Barre had a different color of red that I hadn't been able to get in 550, I decided to give it a try. Once it arrived, I was pleased to see that Imperial Red matched almost exactly to Alabama's Crimson color. 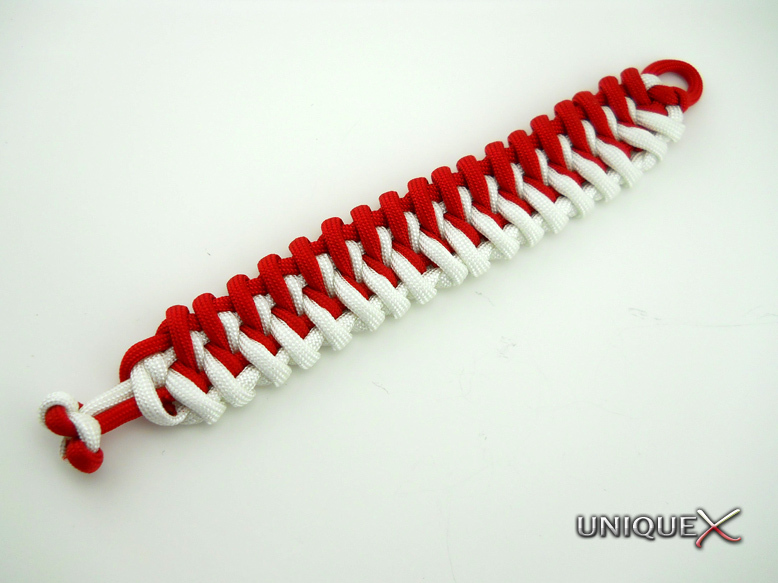 Since this was tied using 450 paracord, I couldn't get it from my usual supplier so I ventured out and gave a new supplier a try. I am pleased to say Vermont's Barre exceeded my expectations in purchasing paracord online. 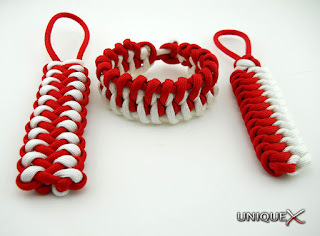 My paracord arrived quickly and the cost is very competitive and the quality of the paracord was top notch. If you are in the market for Alabama, Oklahoma, or other team that has a crimson color theme, you need to give Vermont's Barre a try. I hope this post and previous Alabama posts don't offend fans of other teams, but I can't hide my passion for my team. 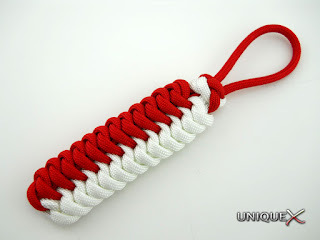 Even if you're not a fan of the Tide, I hope you have found this post useful. 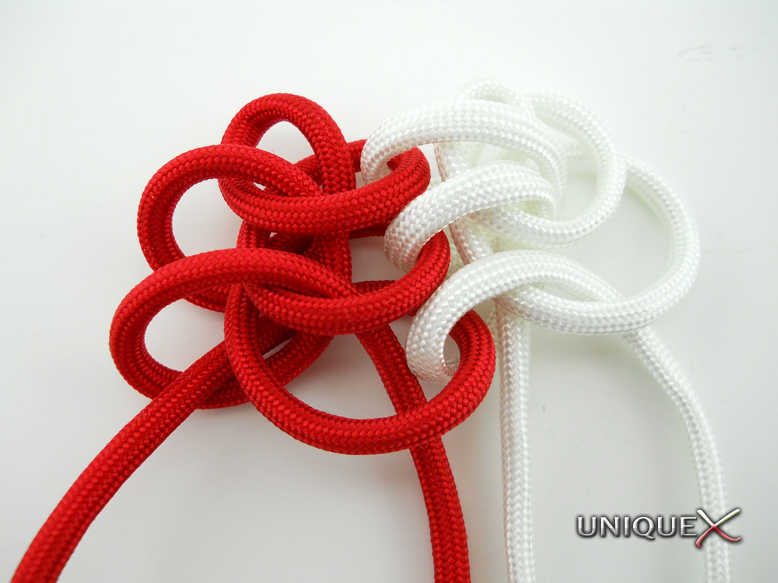 The knot designs that I have chosen to use in this edition of AL Paracord Gear are a couple of new designs by Matthias Agnello (Surreal Sawtooth Bar and Dragon's Claw) and one previously posted design (Doubled Chinese Snake Knot). I tied this bracelet almost exactly as shown in the two part pictoral by Matthias using 8 feet of Imperial Red 450 paracord and 8 feet White 450 paracord. 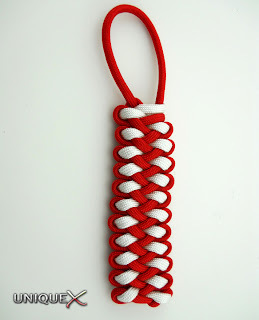 I tied this fob using two 5 feet strands of Imperial Red and White paracord following Matthias' pictoral. I tied this fob using two 5 feet strands of Imperial Red and White paracord. Since I received so many requests on how to tie this design, I decided to include a shot of the loose tying process.